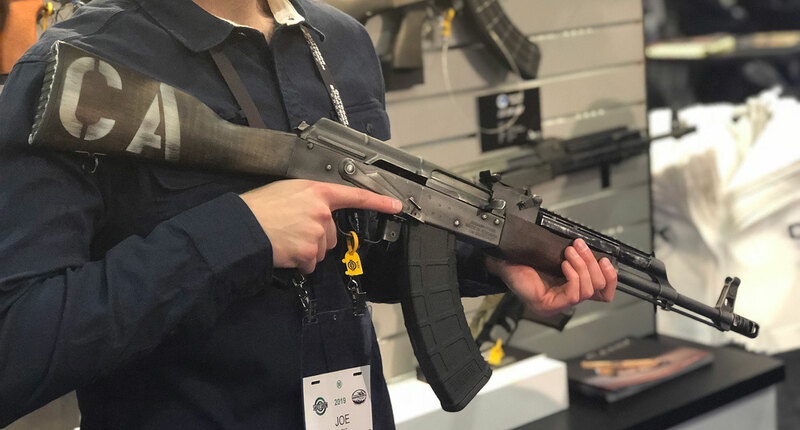 While ARs get a lot of love at SHOT Show, we would be remiss if we didn’t acknowledge the growing AK market, so we stopped at the large Century Arms booth to speak with their Director of Sales, Jason Karvois, about their latest offerings. 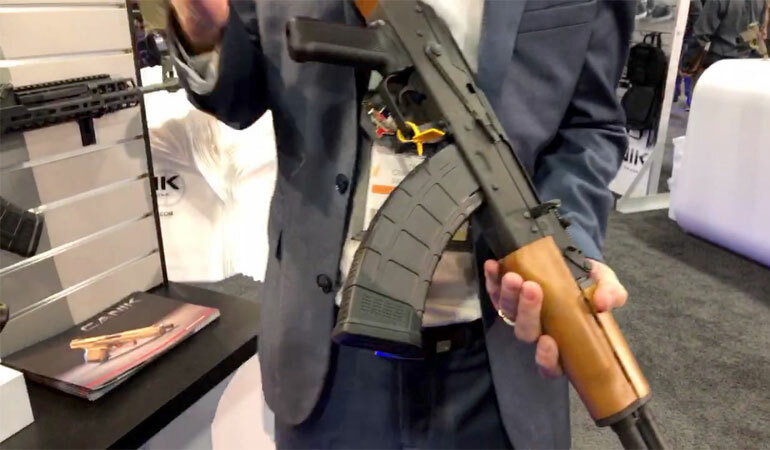 New for 2019 is the VSKA, a heavy-duty AK rifle chambered in 7.62x39mm. With components machined from extremely durable S7 tool steel, a chrome-moly 4150 barrel and a carburized 4140 steel bolt, the rifle was designed to withstand heavy use. Sporting maple hardwood furniture the rifle is 100-percent manufactured in the company’s Vermont factory. MSRP of the VSKA is $735.95. Century Arms is also getting into the custom firearms game. Unlike other manufacturers, Century Arms has teamed up with companies in the AK industry, like Aklys Defense and Meridian Defense Corp, to modify WASR and VSKA rifles, as well as Canik pistols. From traditional looks to modernized models, Century Arms is giving creative freedom to its Custom Shop partners and has plans to add more in the future. Custom Shop firearms can be purchased through dealers; MSRP is roughly $2,100. North America’s premier AK manufacturer, Century Arms is also the exclusive importer of Canik handguns, Red Army Standard, and the recently revived US PALM brand. We took a look at the Canik TP9SFx, an out-of-the-box competition ready pistol with 20+1 capacity. MSRP of the Canik TP9SFx with Vortex Viper red dot is $754.99, $554.99 without. Watch the Live video stream and visit centuryarms.com learn more.